One man will be going to trial in March after being labeled a repeat offender — for drunk driving. In his most recent accident, he is being accused of causing the death of a local woman. This was a five-car accident that happened back in February. According to that accident report, the driver was observed swerving through traffic erratically in Sheffield on Route 7. The vehicle slammed head-on into another vehicle and then slammed into another car before it finally stopped on top of another vehicle. One driver was pronounced dead on the scene. According to The Berkshire Eagle, the 35-year-old driver has entered a not guilty plea to nine different charges, including operating to endanger, driving under the influence of alcohol, motor vehicle homicide and his fifth drunk driving offense. If found guilty on the motor vehicular homicide he could face 15 years behind bars. Our drunk driving accident attorneys understand that drivers who are convicted of one drunk driving offense are likely to be convicted of another. As a matter of fact, Mothers Against Drunk Driving (MADD) reports that about a third of all drivers who are arrested for driving under the influence are actually repeat offenders. In 2010 alone, there were more than 1.4 million people who were arrested for drunk driving in the United States. -About half of all of the drivers who were killed in car accidents who returned positive test results for having drugs in their system also had alcohol in their system. -For people over the age of 12, men were more likely than women to drive under the influence of alcohol. -Drivers between the ages of 21 and 25 were most likely to drive while under the influence of alcohol. The second most common age group to engage in this dangerous behavior was those between the ages of 25 and 34. -The average person is able to metabolize a drink an hour. -Nothing can sober you up aside from time. Showers and coffee don’t help. -There were close to 110 people killed in drunk driving car accidents in Massachusetts in 2010. -In 2010, there were more than 210 kids who were killed in drunk driving car accidents in the U.S. Of these fatalities, more than 60 percent of them were riding in the car with the drunk driver. -Drunk driving car accidents are much more common on weekend days rather than week days. -Drunk driving car accidents are four times more common during the evening hours rather than during the daytime. -Reports conclude that adult driver drank alcohol and got behind the wheel more than 110 million times in 2010. This means that it happened nearly 350,000 times each day. -In 2011, there were close to 65,000 victims of drunk driving car accidents. -There are close to 30 people who are killed in drunk driving car accidents in the country each day. -Drunk driving car accidents cost the country more than $130 billion every year. -Car accidents are the number one cause of death for teenagers. About a third of these accidents are alcohol related. 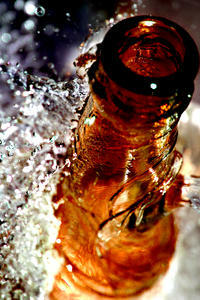 -Teen alcohol consumption kills about 6,000 people each year. That’s more than all illegal drugs combined. The Law Office of Jeffrey S. Glassman, LLC offers assistance to those who have been injured in a drunk driving accident. Call 1-888-367-2900 for a free and confidential consultation to discuss your case.